June 13 2017 Hoshiarpur: The Punjab police here on Monday arrested a Sikh activist Makhan Singh Gill and claimed to have recovered 3 Kg of opium from his possession. But this police claims are strongly refuted by family members of Makhan Singh Gill. The family maintains that he has been falsely implicated by the police. Daljit Singh nephew of Makhan Singh, while presenting the facts pertaining to the case said that ”the police officials has been consistently harassing and pressurising Makhan Singh Gill to turn a police informer and work for them and provide them with the intelligence inputs related to Sikh activism to which he outrightly declined”. “On his refusal they falsely implicated him in this narcotics case while he was arrested from his fields” he added. Afterwards he was continuously harassed by the Punjab police to work for them as an informer to which he refused, he adds. 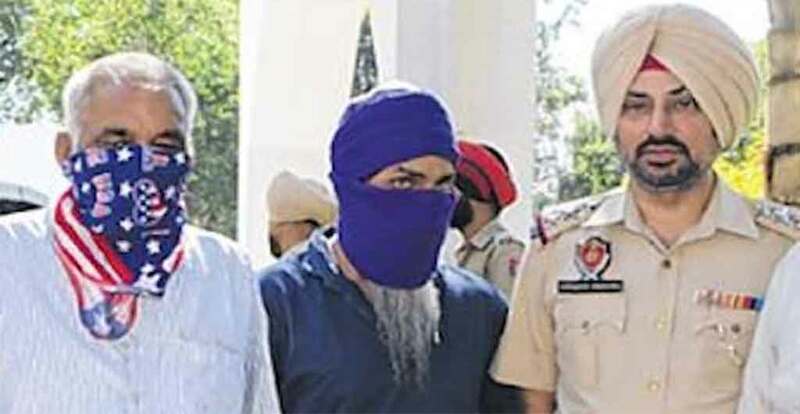 Furthermore, Advocate Jaspal Singh Manjhpur suspects that ‘the arrest of the Punjab police Inspector Inderjit Singh from Jalandhar and recovery of illegal drugs, arms and ammunition from his possession at his official quarter has alerted the other police officials who may be trying to get rid of their illegal possessions and the case of Makhan Singh Gill can be seen in this regard.